Amazon Alexa, Google Home, Apple HomePod, and all of the other “smart home hubs” promise to help give you that smart home feel you always wanted. The Amazon Alexa is a fantastic product, one of several on the market alongside others such as the GoogleHome and Apple HomePod, however for it to actually perform as seen in the commercials, and as many people expect it to, there has to be an automation system in place unify the various smart home systems. 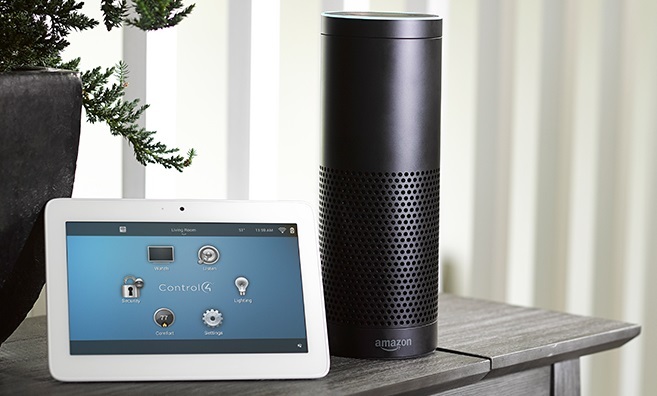 Control4 works in harmony with devices like the Amazon Alexa and GoogleHome to fulfill the command. What really occurs is that the Control4 system received the command from the Alexa, and adjusts the lights, music, shades, and temperature based on the time of day and the custom programmed setting that we designed as professionals to cater to your lifestyle. We take it a step further with scenes like cooking, where the kitchen lighting brightens so you can actually see as you are chopping, your favorite playlist on Spotify is triggered, and the specific climate zone adjusts because we know from our many conversations with you what environment you are most comfortable in. Put your entire home to sleep from the comfort of your bed.Doors are locked and the security system armed, shades automatically close, and all unnecessary lighting is turned off. With Control4, when you get up to go to the bathroom in the middle of the night, motion sensors illuminate your path as you move through your home at low light so you both avoid stubbing your toe and are not blinded. 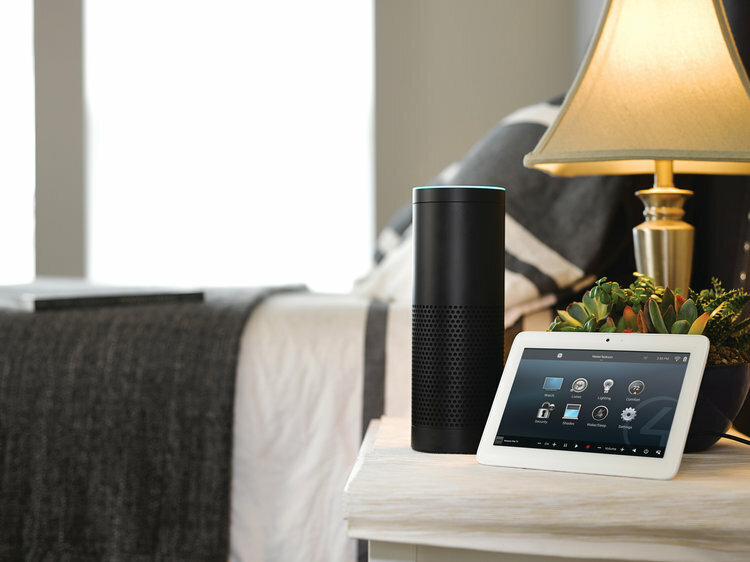 While Control4 now offers out-of-the-box compatibility with the Amazon Alexa, where our industry shines are in the harmony of customized scenes that take the work out of relaxing at home. Hands-free home automation just makes sense.